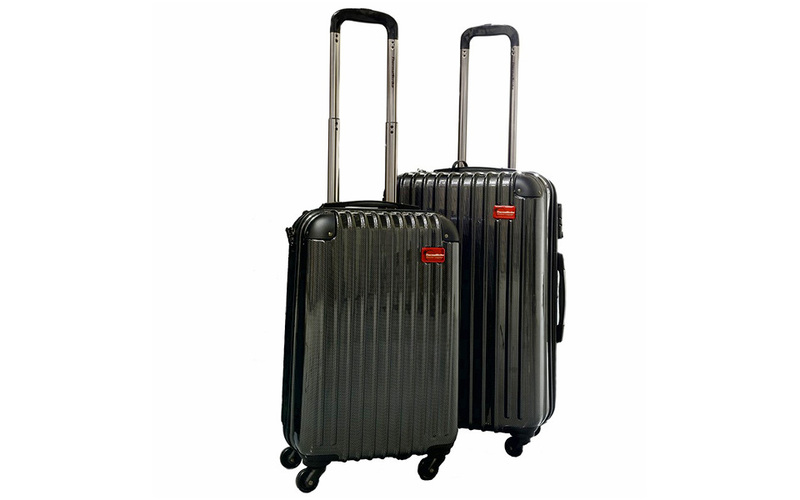 ThermalStrike Heated Luggage comes in two sizes: a 20-inch carry-on and a 24-inch upright checked suitcase. The 20-inch model measures 20″x13″x9″, slightly smaller than the typical 20- or 21-inch carry-on. Still, it’s a good size for a weekend getaway or short business trip. The 24-inch upright scales up to 24″x16″x10″ and serves as a smart way to check extra gear for longer trips. Both sizes have the same hard-bodied design featuring polycarbonate outer shells and reinforced corner guards. It’s a sturdy construction formula that should have no problem holding up to years of stowing and bumpy baggage handling. 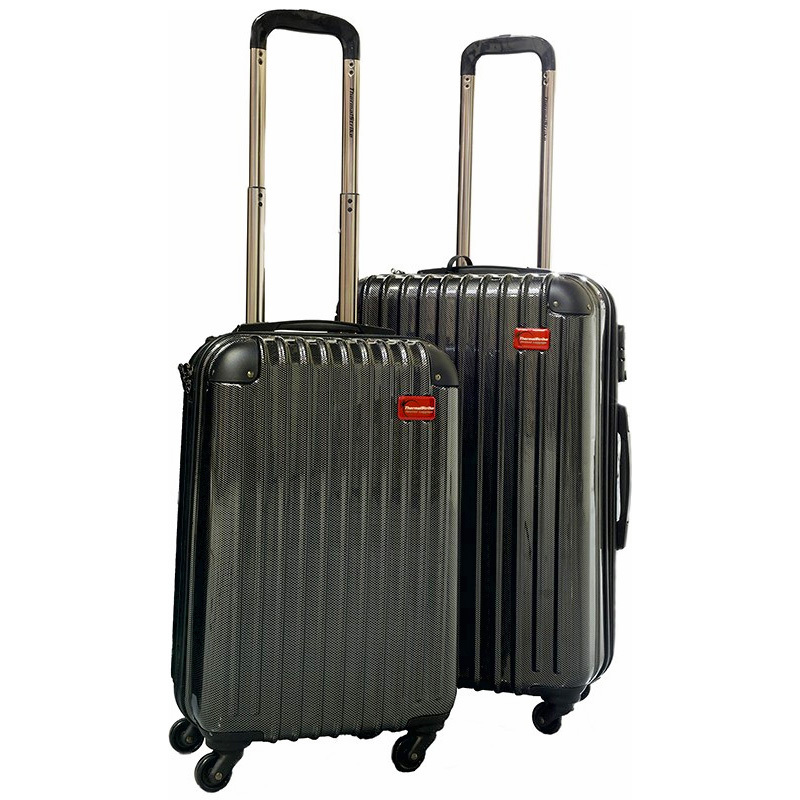 The telescopic aluminum handle and gyroscopic wheels make the luggage ergonomic and easy to tote around the airport, even when they’re completely full. The built-in lock features a TSA-approved key and combination switch. We’ve seen similar designs work well on high-end luggage, as it’s easy to secure the zipper sliders and release them with the push of a button. It’s easy to use and it works. What’s not to like? ThermalStrike Heated Luggage work with infrared panels built into the rear housing of the body. If we lay the luggage flat on a hard surface and plug in the included cable with its built-in timer, the panels will start generating heat that will radiate heat through all the luggage’s contents from the bottom up. A temperature sensor is stitched in under the interior pocket flap. That sensor will track the heat as it rises up to 140 degrees, more than enough to kill any bed bugs hiding inside the suitcase. All the integrated heating and safety devices are FAA and TSA compliant. Nobody should have trouble getting through security due to this luggage. We recommend running the ThermalStrike Heated Luggage’s heating function twice per trip. Plug it in for a cook-off the night before your returning flight while you sleep. Once you’re home safe and sound, plug the luggage in again for another round. This is to make sure that no bed bugs make it from the hotel to the airport, and that no bed bugs make it from the airport to your home. While the included timer has settings for two, four, or eight hours, I’d set it to eight hours each time I use it. We want to give the heating panels enough time to fully heat up every item in the luggage. Some insulated materials will take a while to completely hit that 120-degree temperature that we’re looking for. Any cold spots serve as a potential safe haven for bed bugs to survive the treatment. We also want to make sure that the luggage is on a hard, flat surface each time we plug it in. Think desks, countertops, or coffee tables, not the bed or hotel luggage rack. Are you a frequent flyer that’s worried about bringing bed bugs home from your trips? Someone who’s had bed bugs before and will do anything to prevent getting them again? Or are you just someone looking to upgrade your luggage and would like a little peace of mind to come with it? If you fit any of these profiles, you need to take a look at the ThermalStrike Heated Luggage. Treat your belongings – without unpacking. ThermalStrike Heated Luggage is the world’s only luggage that kills bed bugs.